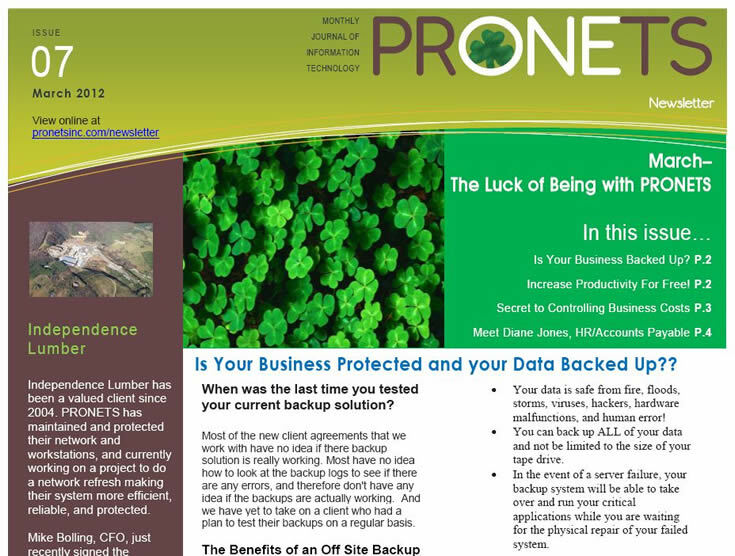 This month we want to make sure you're not just relying on your LUCK when it comes to your data backup! We would like to help make sure you have it secured with an offsite backup solution. We also want to help by giving you some free tools to increase your office productivity and some helpful insite on the value of your business. This newsletter is like having your own "Pot of Gold". Just click on the image below to see the full newsletter. 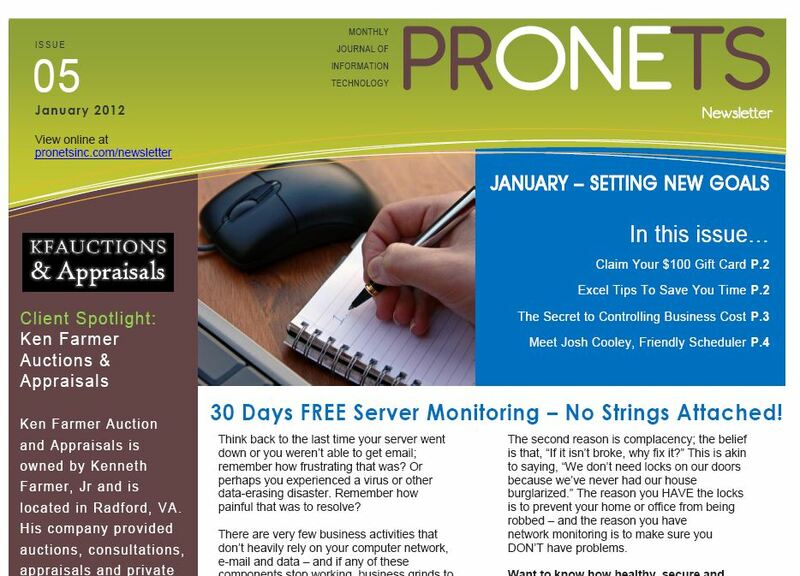 In this New Year, PRONETS would like to help you reach your goals for your company and kickstart your year off with giving you 30 days of FREE server monitoring..with NO STRINGS ATTACHED!! We would also like to give you some tips for working in Excel and controlling your business cost! If you share our name with another company and they sign a contract with us, you will get $100 Visa Card to help offset some of the new year's cost. Get the details on all of these things and much more by reading the January Edition of our Newsletter. Just click on the image below.